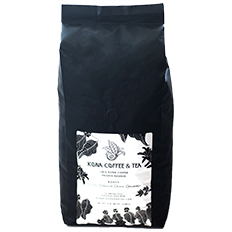 Kona Coffee & Tea, Single Estate, 100% Kona, Dark Roast. 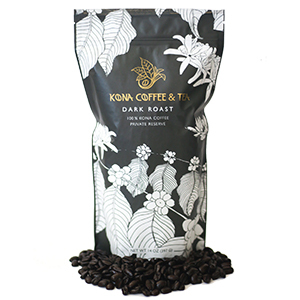 Notes of hickory and cedar, dark chocolate and roasted peanuts. 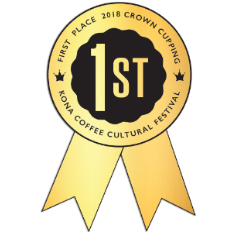 A bold cup with a smooth finish. 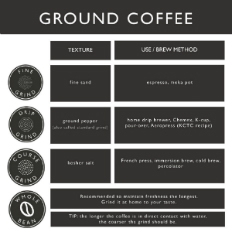 Low acidity and caffein. 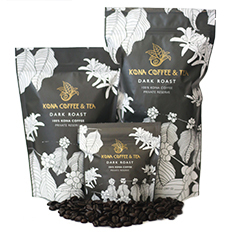 Small batch roasted, packaged and shipped fresh. From Anonymous of Phoenix , Arizona on 4/6/2019 . From Lorelette Knowles of Everett, Washington on 3/29/2019 . 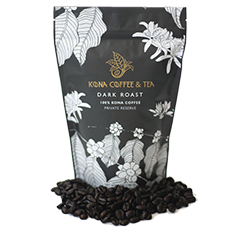 I sent some dark-roast Kona coffee to friends as a thank-you gift for providing several nights of accommodation for my son and me, and they LOVED it, exclaiming, as they took their first sips, "Mmmmm--this is GOOD coffee!" From Anonymous of Sacramento, California on 3/3/2019 . I can only speak for me. Smooth taste. From Sybil Hennebury of Myrtle Beach, South Carolina on 2/24/2019 . 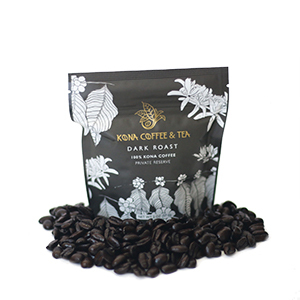 We enjoy a dark roast and this coffee is delicious. Thoroughly enjoy it when in Hawaii and having it delivered while wintering in Myrtle Beach! From Ginger Hansen of McCall, Idaho on 2/10/2019 . 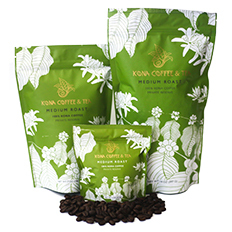 I had the pleasure of visiting Kailua in mid-January and discovered your coffee shop, what a find! I took a bag of your dark roast home and it went pretty quickly! Bought 2 more bags online and will be back for more!